rocks | isn't life grand?! Grab your paint, grab some stones and let’s get going! Today were focusing on rock painting. This activity is SO much fun, your kids will love it. 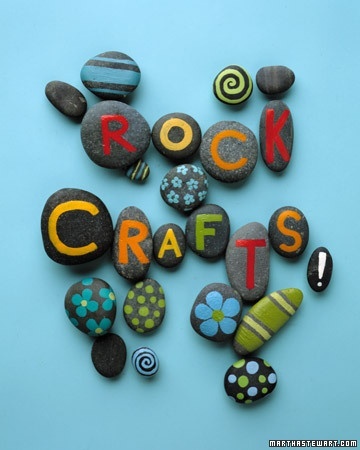 As with all kids crafts, these will make great gift ideas for Mothers day, Fathers day and for grandparents. 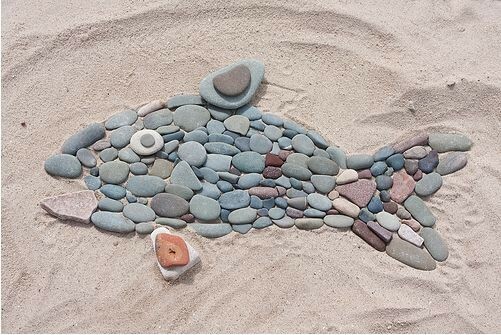 The best stones are roundish, flatish and bigish – like the pebbles that you find on a beach. If you don’t have beach access, try your garden. Alternatively you can buy nicely shaped stones at most garden centres. Wash the stones, and let them dry. Let the fun begin! Story stones: although the example picture here doesn’t show painted stones, the idea remains the same. 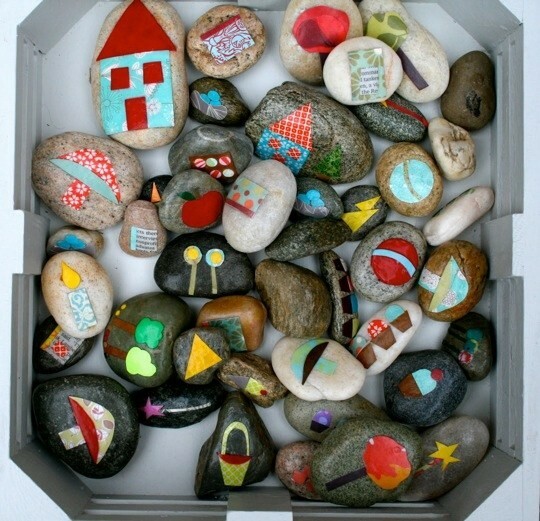 Paint different pictures on stones, mix them up and put them in a box. 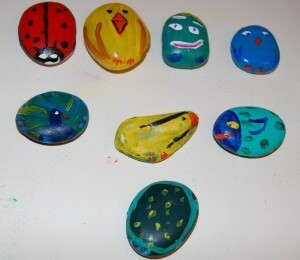 Let he kids randomly pick some stones, lay them out and tell a story using the picture prompts! This a very creative exercise and will provide hours of fun. 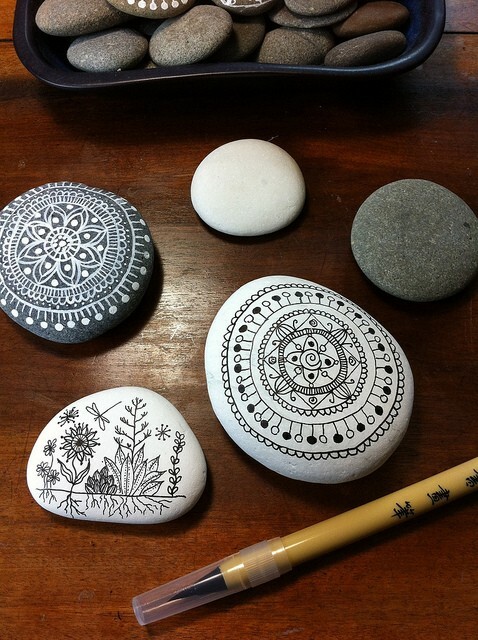 Draw on pebbles: this is a very relaxing activity. Once done, these will spruce up a garden or flower pot nicely. Use a large decorated stone as a door stop. Pack the decorated stones in a spiral in your garden. The uses are endless and is a very rewarding activity. No paint? No problem! 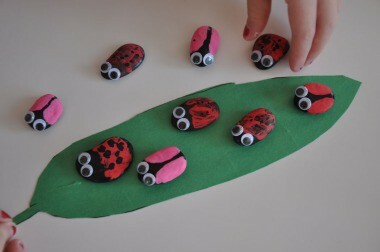 Let the kids create shapes and animals using pebbles and stones. Fun, fun fun! This type of craft makes beautiful photographs. For original source information, go here.